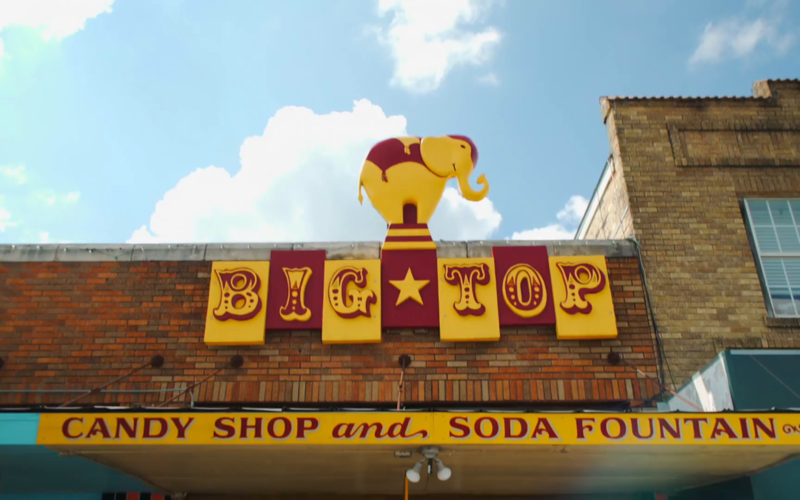 I recently wandered into Big Top Candy Shop on South Congress on a Saturday afternoon, when I had a friend in town from Dallas. I was like a kid in a candy store! Sorry, I had to. This place is awesome. Eye candy everywhere. OK, I’m done. 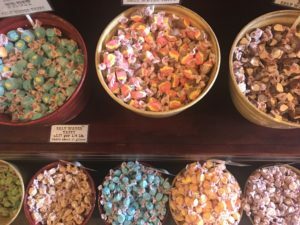 In all seriousness though, they have so much cool stuff to look at, so many colorful displays, it really is more like a candy museum. It gives me all the vintage feels. 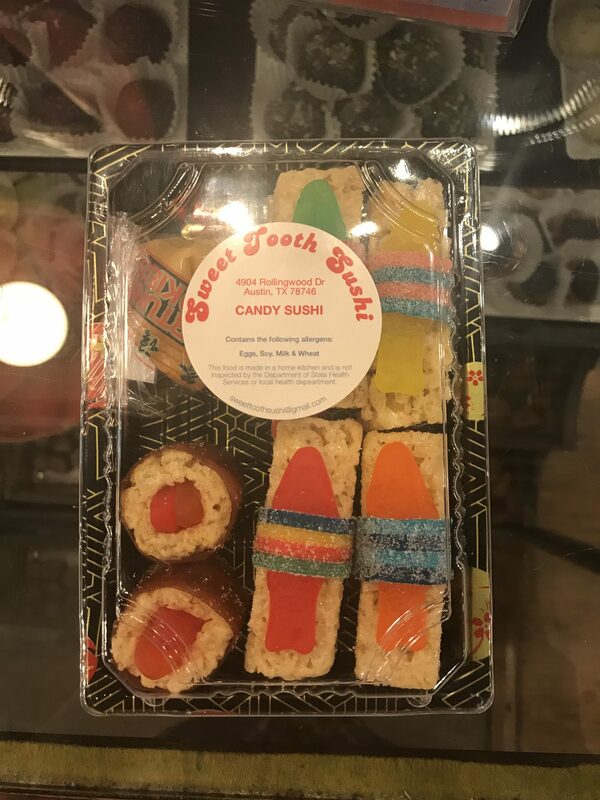 Not only do they have candy from my childhood, they have candy I’ve never heard of. 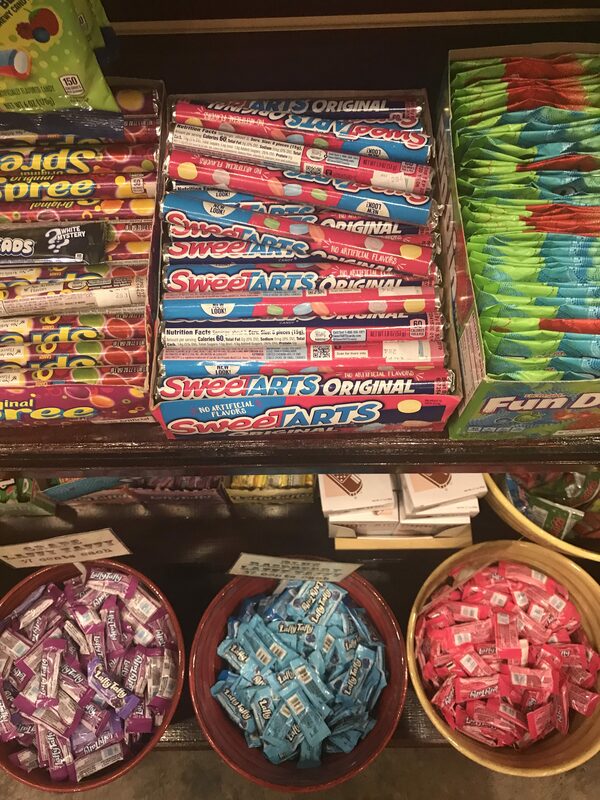 There is an entire section of candy that you might have found on the boardwalk in Atlantic City back in the day, or, saltwater taffy if you want to be less romantic about it. 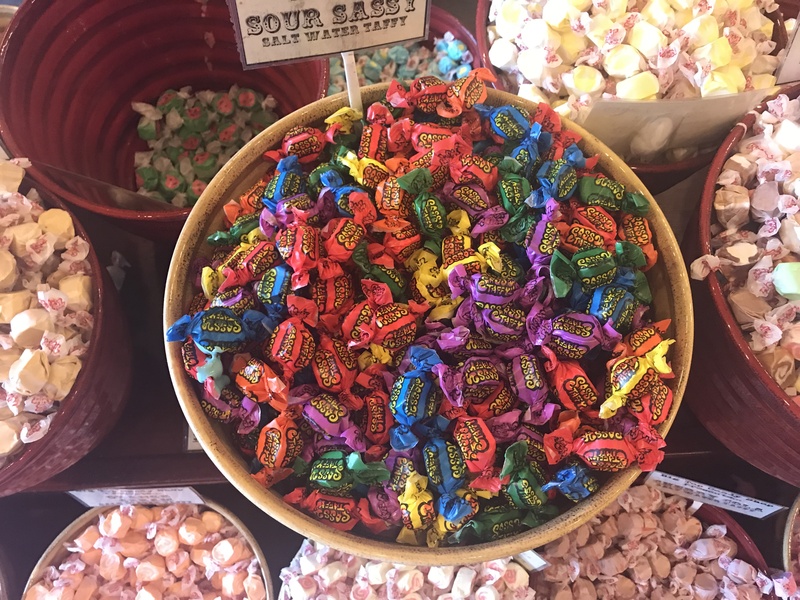 You can buy the big round circular lolly pops that you’ve never once been able to finish, even at the height of your sugar consuming days in the 80’s. 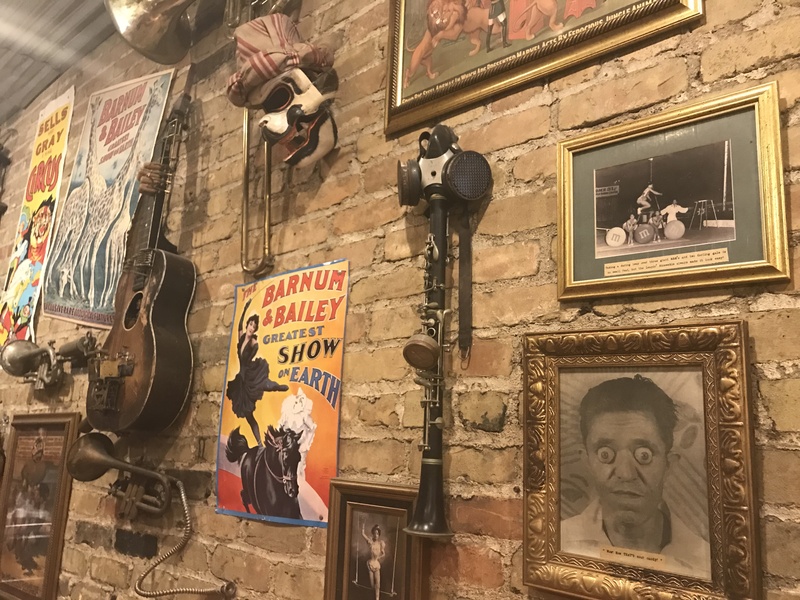 There are old circus posters on the wall, and old musical instruments, which I also visualize being played on a boardwalk. What is my deal with boardwalks? I’m going to blame the movies, as I’ve never lived anywhere near a boardwalk. Back to the candy. 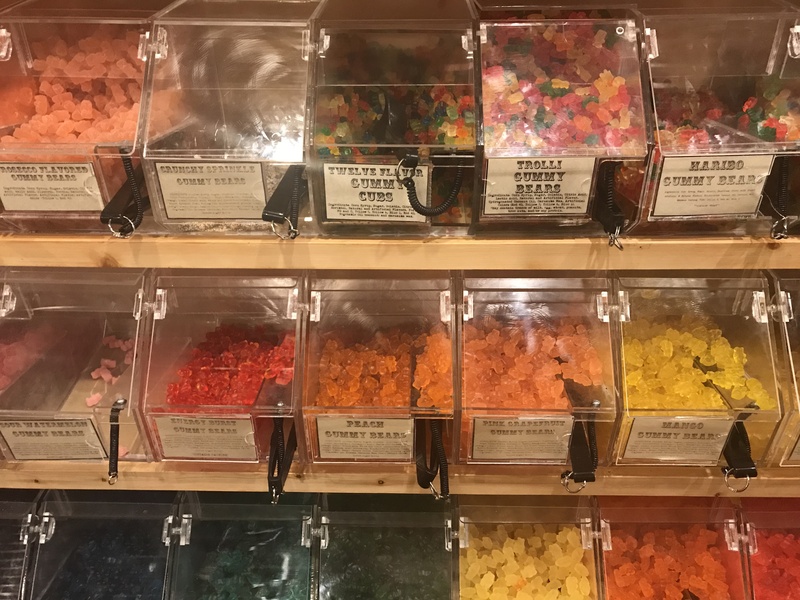 They also have about 19 flavors of gummy bears, even Prosecco flavored. I didn’t realize that was a thing, but I like it! 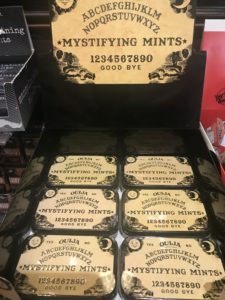 They have Ouija Board mints and candy sushi, and my hubbies favorite, Razzlers, which are candies that turn to gum. 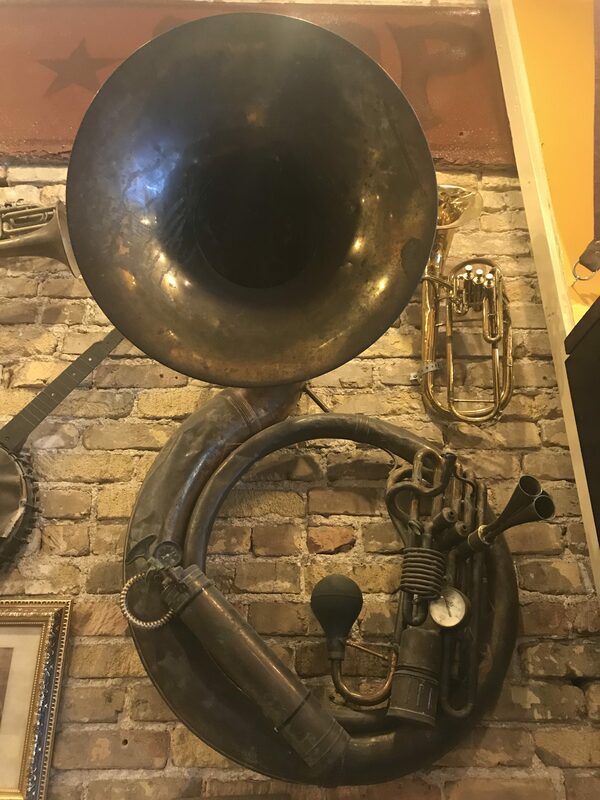 I can’t forget to mention, they have ice cream, and a soda jerk that will make you delicious concoctions so you have sugar to drink on, while you browse for sugar to snack on. Honestly, I don’t even have a sweet tooth, but this place makes me wish I did. 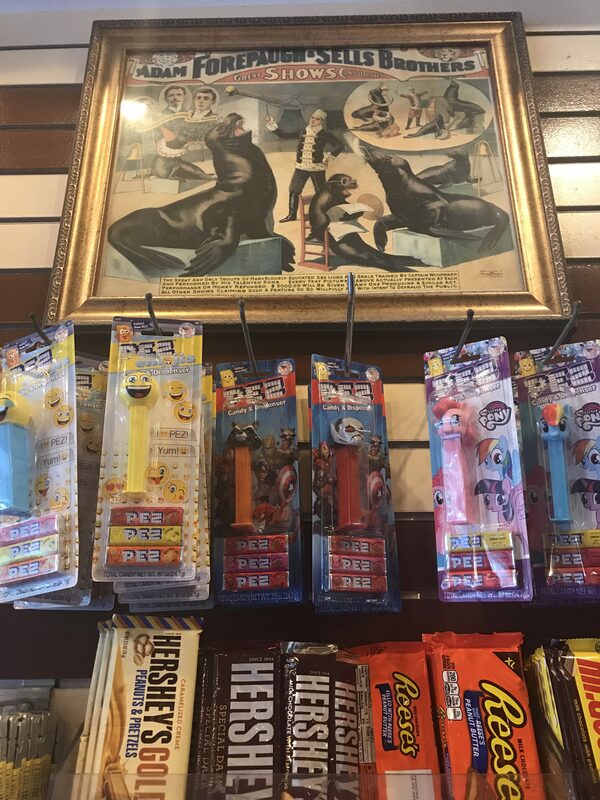 There is no shortage of goofy, sugary snacks to consume. 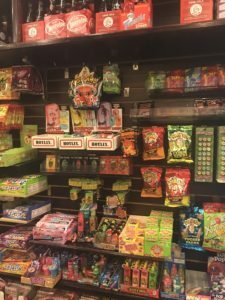 So pretend like you’re a kid again, eat some sugar and don’t worry about your mom finding out you were down at the boardwalk. The colors jump right out of the photos! And your prose is a light, bubbly funventure! A fave!